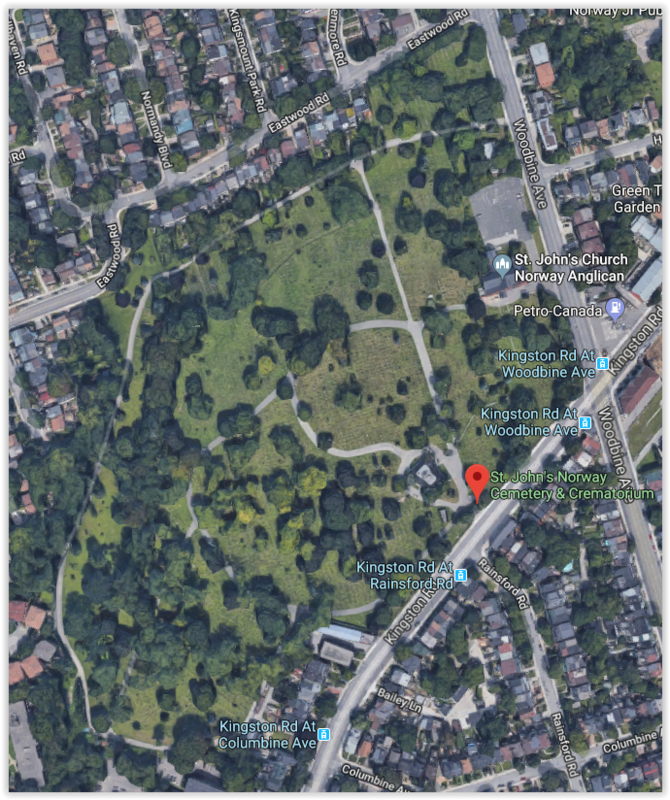 Unable to confirm that this is the correct cemetery for "Norway Cemetery" in Toronto. Another was found by that name. Neither than one or this one had full listings in order to confirm interments of people in our database. Map searches bring up St. John's. Do your own local research before traveling to this location. The full name is St. John's Norway Cemetery and Crematorium. St. John's Church Norway Anglican is on Woodbine Ave. 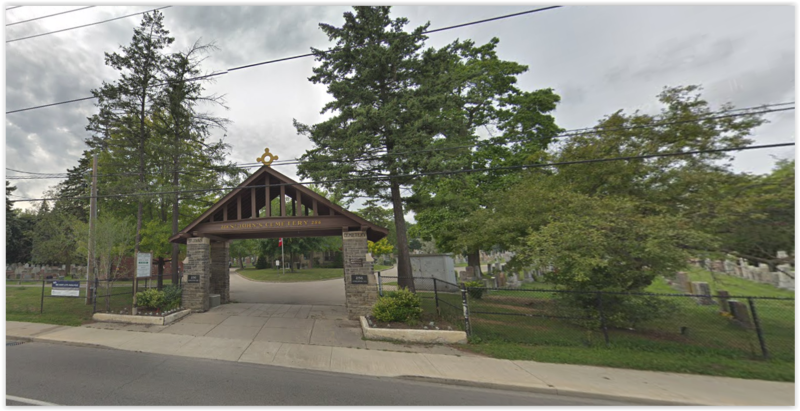 The cemetery entrance is on Kingston Rd.